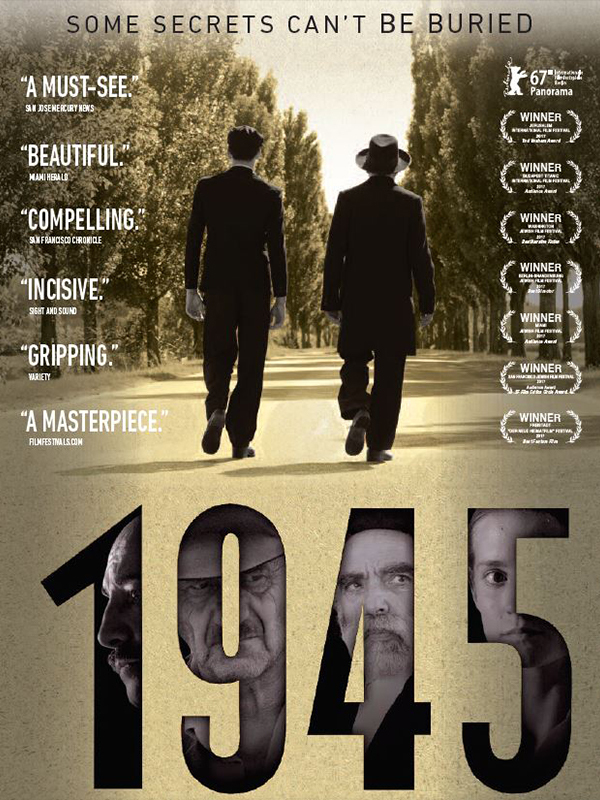 (Événement en anglais seulement) Join us for the screening of the award-winning Hungarian film 1945. Discover the fictional story of a small town in Hungary facing the return of two Holocaust survivors after the war. Following the film, there will be a discussion with Ted Bolgar, a Holocaust survivor who will share his experiences of returning to his hometown after liberation. “In April 1944, Hungarian authorities ordered Hungarian Jews living outside Budapest (roughly 500,000) to concentrate in ghettos. By mid-May 1944, the Hungarian authorities, in coordination with the German Security Police, began to systematically deport the Hungarian Jews. In less than two months, nearly 440,000 Jews were deported from Hungary in more than 145 trains. Most were deported to Auschwitz.